Not me, silly, but my blog. Yes, chasing bawa is TWO this year and I’m as shocked as you all that I’ve sustained my interest and enjoyment at this book blogging business. In fact, my interest hasn’t waned at all but has increased as I’ve made some wonderful friends and found some extremely well-written, funny and lovely blogs. The book blogging world is indeed a very genuine and warm one and I’m glad to be a part of it. So to celebrate I have a particularly brilliant giveaway, if I say so myself. Oh yes, it’s a Haruki Murakami twosome, kindly sent to me by my lovely friend Y all the way from Japan. 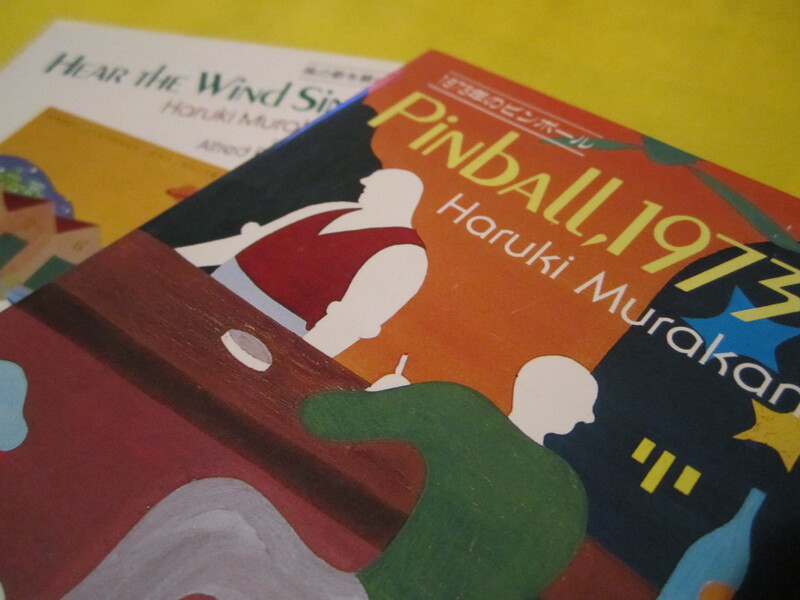 One lucky winner will get a spanking new set of Hear the Wind Sing and Pinball 1973 in English. As most of you will probably know, these are the first two of Murakami’s books to be translated into English and start the Trilogy of the Rat which culminates with A Wild Sheep Chase and later Dance, Dance, Dance both of which are available internationally. With these, you are in fine form to join In Spring It Is The Dawn‘s Haruki Murakami Reading Challenge to celebrate the English release of 1Q84 (I cannot wait for this!) and also Dolce Bellezza‘s Japanese Literature Challenge 5, if you haven’t already. I haven’t read my copies yet and will be doing so for the two challenges. Very exciting! And you can read an interesting piece on why Murakami is so popular here. I’m sad to hear that Kodansha International is no longer in business and both books are increasingly difficult to get hold of (although they are available on Amazon Japan), so I’m offering this twosome as a big THANK YOU to all of you who stop by, read and comment on my blog. I like comments but I like lurkers too! So tell me which book you are most looking forward to read this summer and I’ll pick a winner in the old fashioned way (names in a mug) in a week’s time. And I’ll send it anywhere too. Good luck everyone! Congratulations!! My children actually went through the horrible threes, so watch out. 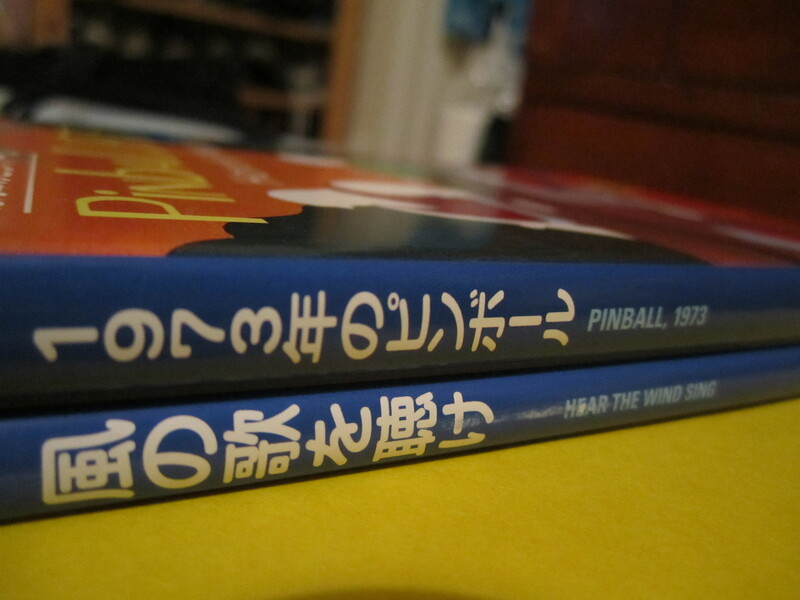 I would just love to read “Hear the Wind Sing” and “Pinball 1973” thank you. I’m most looking forward to reading – re-reading – THE HOBBIT & LORD OF THE RINGS. I want to devour each page before THE HOBBIT movie comes out. Now I just need the time. I don’t need to be entered in the giveaway, but happy blogiversary! 😀 Always love seeing new posts from you in my reader! Happy blogiversary! I’ve never read any of Murakami’s books but would love to get the chance to! I’m not sure which book I’m looking most forward to reading. I have a collection of Louisa May Alcott’s “thrillers” that I’ve read some in and loved, though, so it would be nice to read more of those stories. Happy 2nd Anniversary 😀 Hope Year 3 is wonderful for you and the blog. Regarding reading this summer, I’m working my way through all my uni books for next year and the many books in my TBR pile. Wow, congratulations on your two year blogoversary!! That is fantastic! I’m also super glad to hear that your interest levels are only going up 🙂 It means there will be many many more years I hope. This summer I am most excited to read Haiti by Paul Farmer. Hear the wind sing sounds great, a book title like a poem! So I would like to enter the competition. The birthdayblog is really giving treats. Congratulations and all good wishes for many, many more years of happy blogging. Of course count me in! Many thanks for such a wonderful giveaway. No need to enter me for the giveaway (I was lucky enough to win one of the books from Tanabata a few years back), but happy, happy blogging anniversary! Here’s to many more years. Happy 2nd anniversary & hope you have many more, am in both the challenges mentioned above, so please count me in. OMEDETO!! and thank you for your inspirations. i’ve read Kafka on the Shore over the last week, and would like to read it again. was charmed by the mixture of the refined/deep and vulgar/funny. was thrilled by the mysterious introduction of WWII and mostly of the spiritual maze symbolized by the woods – again. Hav just restarted The Wind-up Bird Chronicles, and looking forward to this long weekend to indulge in it : ) yay. I can’t wait to read something funny – I have two candidates – the new David Nobbs and the new DJ Connell – can’t decide which yet. Thanks for hosting the giveaway – I’m in! I don’t need to be entered in the giveaway (I have far too many books as it is), but just wanted to say congratulations — and happy blogoversary!! Time certainly flies when you’re having fun! Congratulations on 2 years of blogging! That’s great dedication. Don’t enter me in the giveaway (I read Hear the Wind Sing already) but what a great opportunity for a Murakami fan to get their hands on these books! Wow, this is awesome! 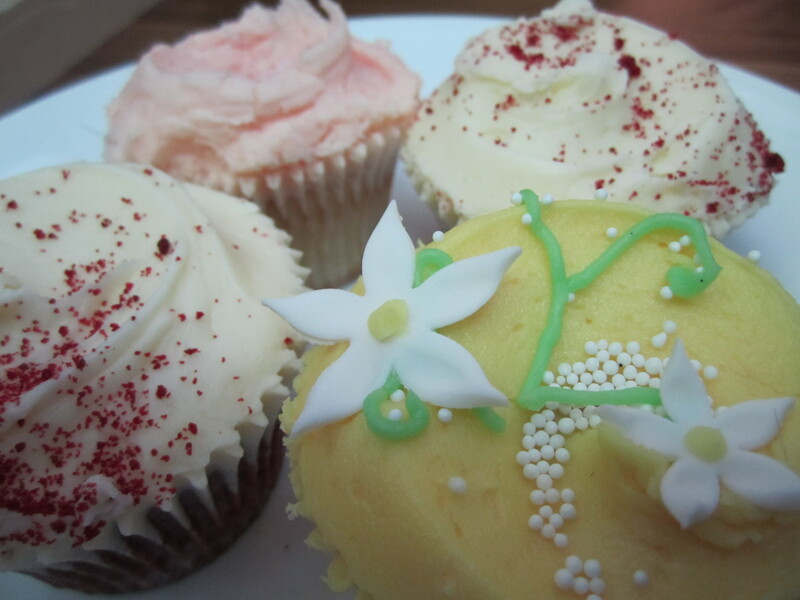 Lovely cupcakes, too! I’m a HUGE Murakami fan, and allthough dutch, prefer to read him in english. So please, pretty please, pick me!!! Happy Blogging Birthday! 🙂 Wow… 2 years! I got excited when I saw your generous giveaway as I am a HUGE Murakami fan! YIppee, happy birthday, Chasing Bawa!!!! I have not read either of these Murakami stories, and I would love to be in this drawing. You know I’m not usually one for contests, but for this, I’m in. It makes me so happy that you have kept up with your blog. With Kodansha Int’l failing, and Borders here in the states, it’s all a terrible state of affairs for The Book. Please keep it going strong. We need you! congratulations on your two years of writing. a book blog is terrific, i’m going to go through your other posts. this summer i have been reading yukio mishima, alain de botton and some tao lin. needless to say i’m a big murakami fan, so please count me in for the draw. my fingers and toes are crossed. all the best for the years to come, chasing bawa. Thank you all and looking forward to another year of blogging:) And yup, the cupcakes are from Hummingbird – can’t get enough of them!